With the change in the way that projects are funded a number of drone/UAV (Unmanned Aerial Vehicle) systems have been funded on Kickstarter, these systems are generally designed to fill a perceived gap in the market providing everything from wildlife conservation to tornado research. 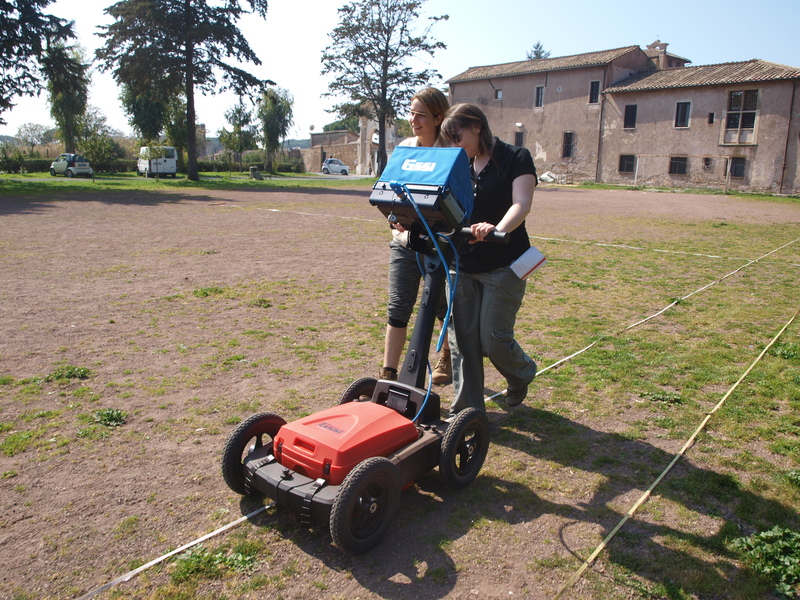 A number of these have innovative technologies which can aid in the recording of archaeology/cultural heritage. 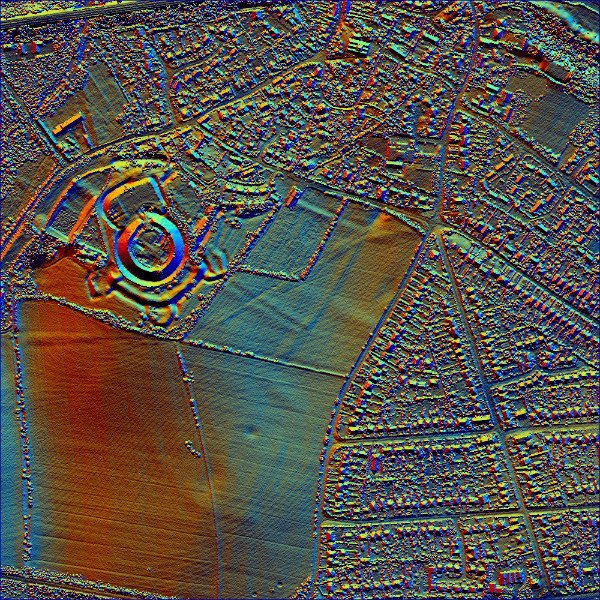 This blog entry will be an evaluation/comparison of these various systems, charting their speifications and abilities to help with archaeological and cultural heritage recording. Incredible HLQ (Heavy Lift Quadcopter) 4 ? ? 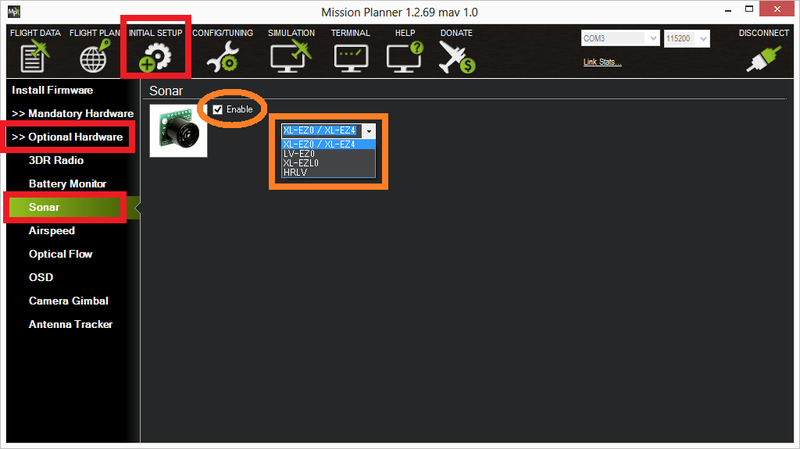 APM2.5+ ? 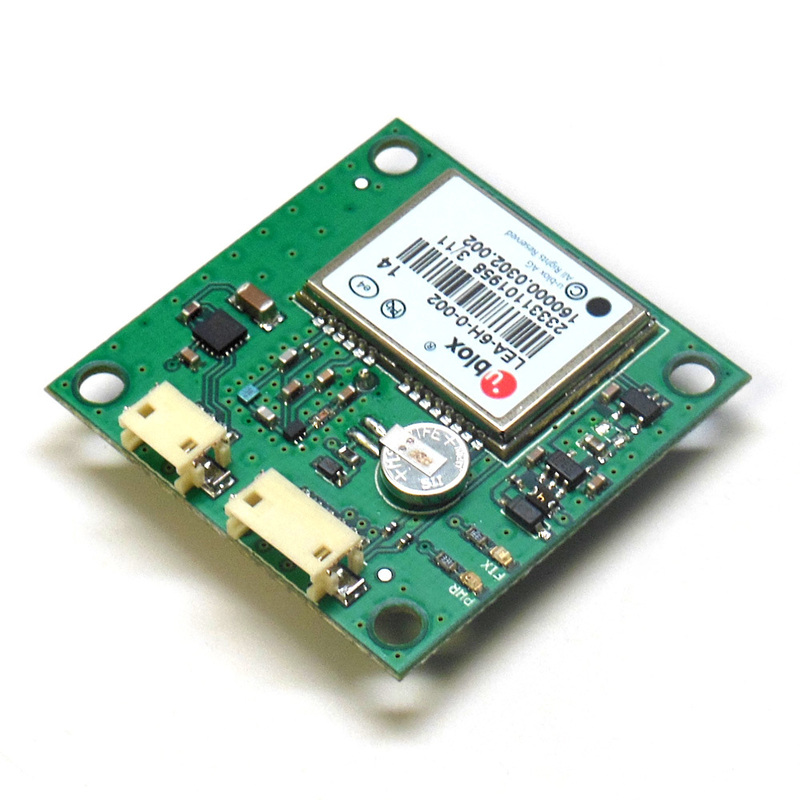 MicroFly 4 Computer wi-fi ? ? ? 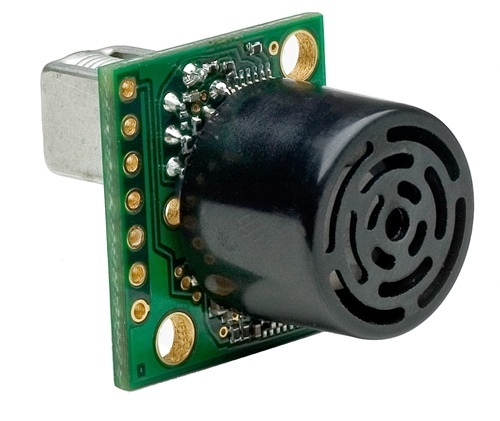 Phenox 4 Voice and gesture 5 mins Voice and gesture controlled and programmable ? 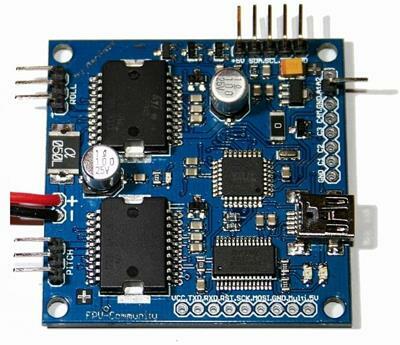 RObot 4 also 4 wheel rover RC Controller ? None ? The obvious conclusion can be drawn that the GoPro camera is the single most popular camera for use with UAVs due to its size and capabilities. 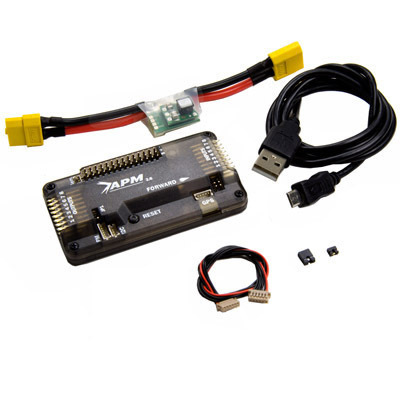 But of equal popularity is the series of open source autopilot systems designed by 3D Robotics (APM and Pixhawk), this demonstrates the quality and abilities of these products. 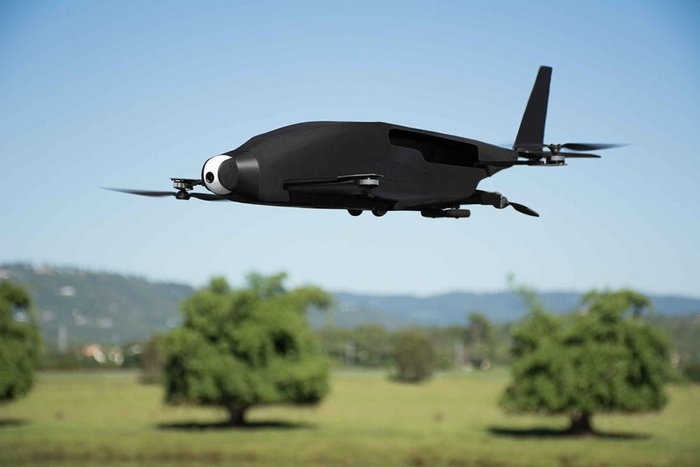 It could be suggested that the bubble has at least partially burst on the funding of UAV (Unmanned Aerial Vehicle) projects on Kickstarter from the number of new projects that have failed to reach their funding goal recently. 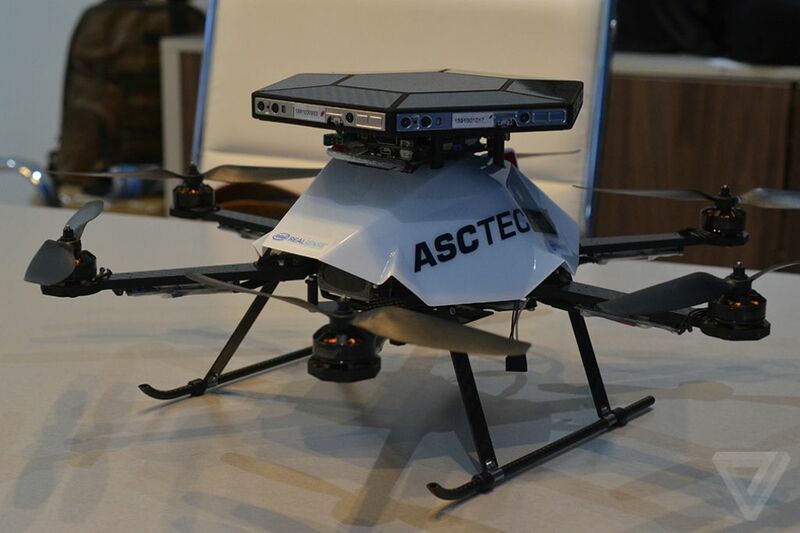 Although some Kickstarter projects are probably not funded due to the fact that they bring nothing new to the area of UAVs, some others appear to have innovative ideas and still receive little funding. 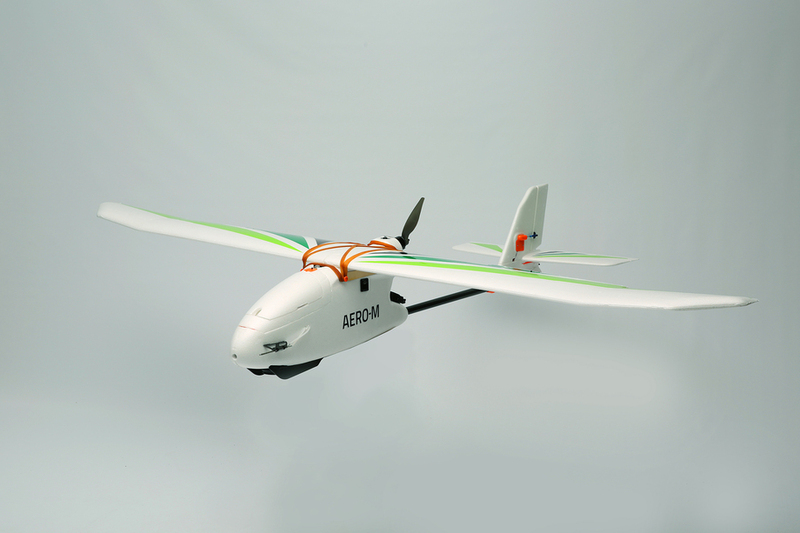 The potential of autopilot follow-me technology for the recording of site tours has been discussed in the reviews of the AirDog and HEXO+ systems. 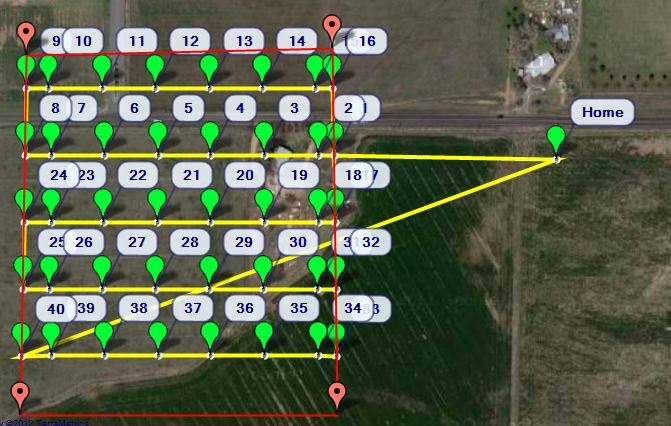 The swarm capabilities of the ZANO system brings forward the possibility of multiple UAV systems recording the subject matter from multiple different angles at the same time allowing the recording of significantly more visual data than a single UAV. New developments have been used to control the position of the done and the ability to avoid obstacles including ultrasonic distance measurement. The micro and nano drone systems provide a means of recording a subject with systems that, in one case can fit in a pocket and otherwise, can be easily portable and taken to the subject that requires recording, even recording tight shaft trenches with a system that has ultrasonic distance detection technology keeping the system away from the edges of the metal sheet piles. 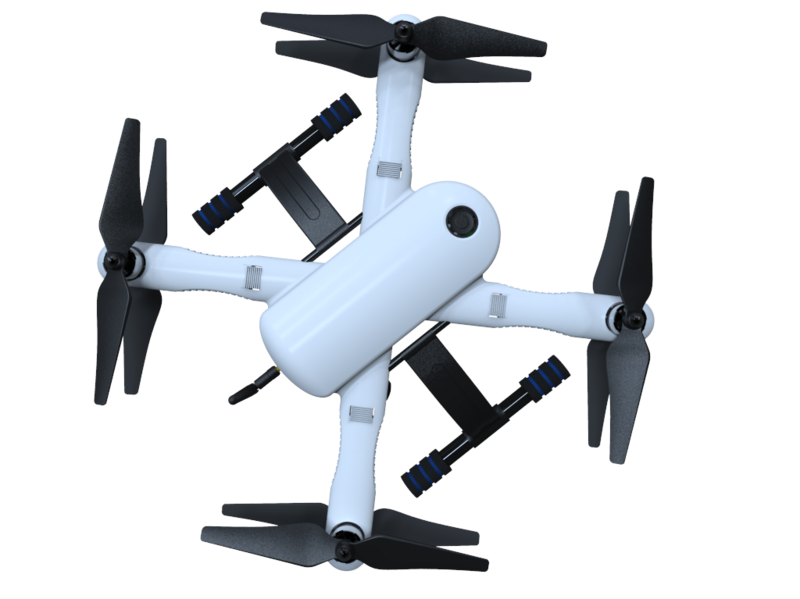 The Zano is a Kickstarter project Nano drone. The app will also allow the purchase of future developments of the system. The ZANO will cost £169.95. 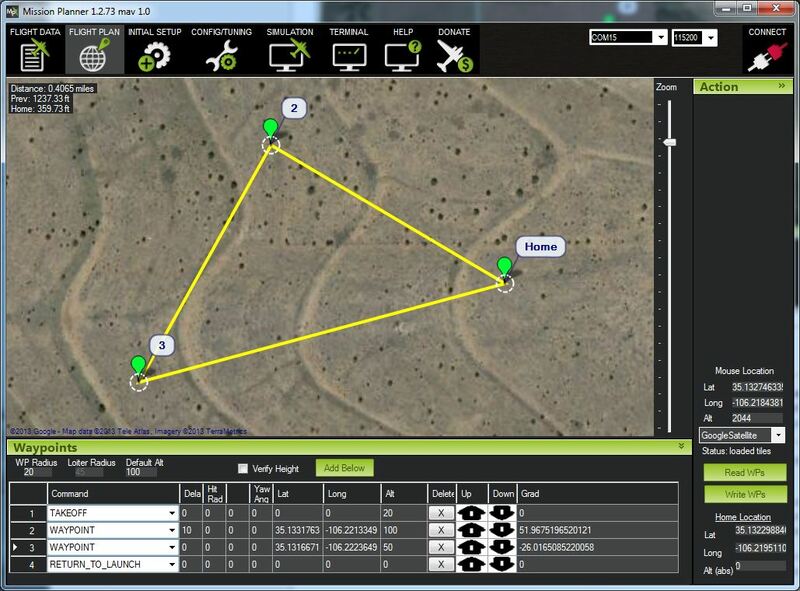 It’s different technologies allow number of different applications including site tours and recording videos of sites. 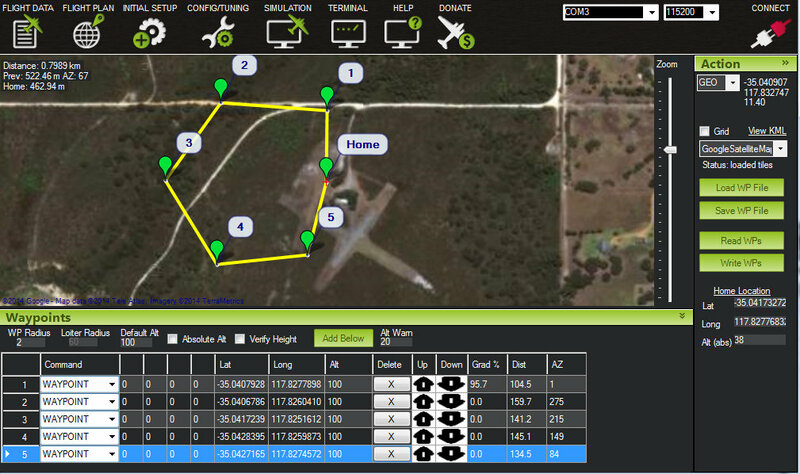 The swarming capability opens up the possibility of recording sites with a number of different drones at the same time. While it’s size makes it very portable and easy to use in confined spaces allowing the recording of areas that other drones may not be able to reach. It comes with a with two part SDK (Software Development Kit) which allows development of apps using the core functionality of the drone and even control of the system using a VR headset. 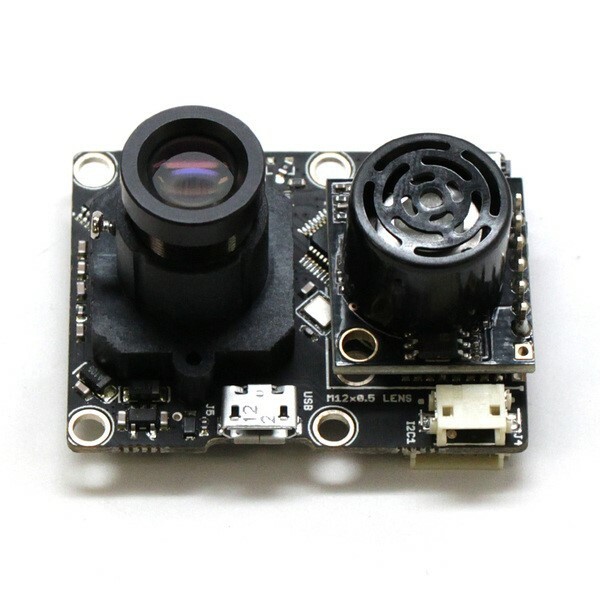 It’s camera is quite low quality so the photographic/video results may not be high quality. Kula is a Kickstarter Project consisting of two lenses that allow Digital SLR cameras and smartphones to record in 3D. The two systems use mirrors to record two images slightly offset horizontally from each other, the free software then transforms what is recorded for a number of 3D recording systems. The Kúla Deeper is a 3D lens designed for use with DSLR cameras, its screws onto the end of existing lenses. A number of adapter rings a available to enable connection to different camera systems. It is currently availble for pre-order for $105. The Kúla Bebe is a 3D lens designed for smartphones. 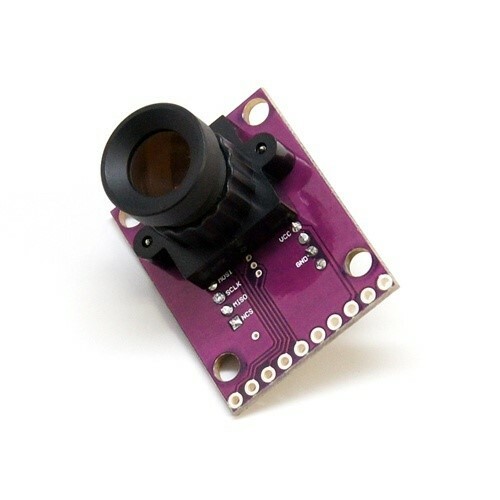 They provide an easy and cheap way of recording in 3D using available technology with just the inclusion of the lens for the relevant device. Because the system records views from the left and rights in the same image this reduces the overall quality of the image as it is split in half for viewing. This also means that a landscape image is transformed into two portrait images limiting the field of view of the image. 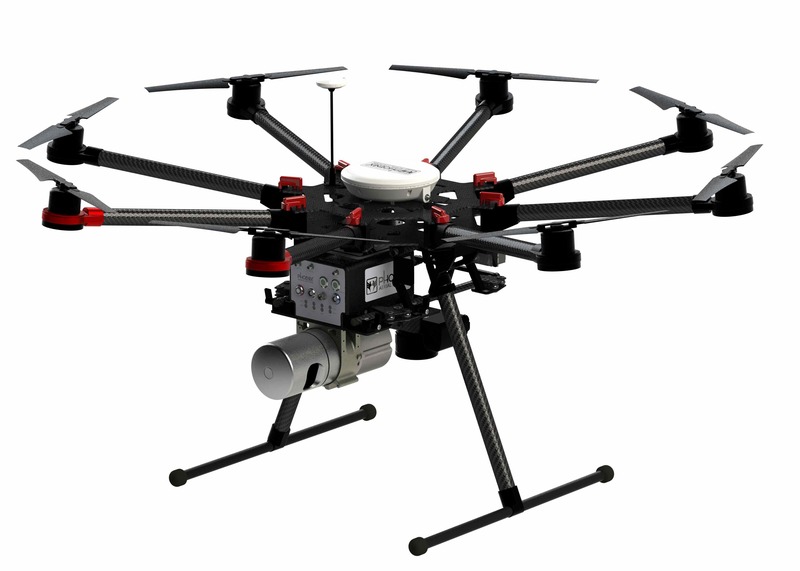 The HEXO+ was a Kickstarter Project aimed at making aerial filming possible in many different areas without the need for another person controlling the UAV (Unmanned Aerial Vehicle) and camera. 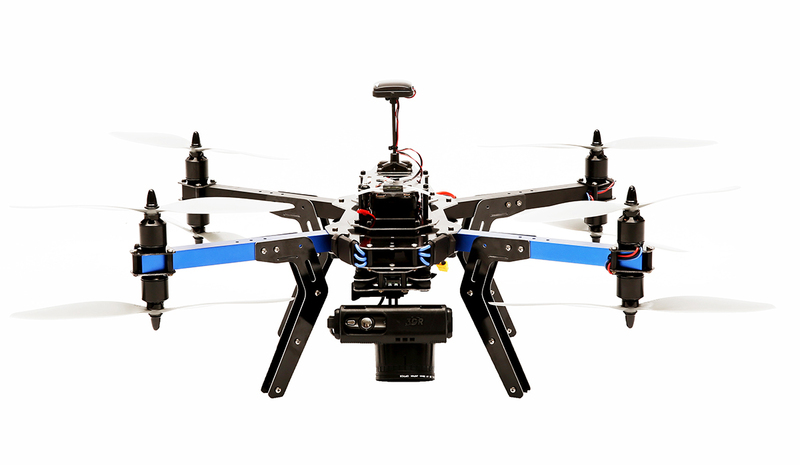 It is a hexocopter with six rotors designed to carry the GoPro camera on either a 2-axis gimbal or a 3-axis gimbal. It automatically flies itself and films the person holding the smartphone/tablet device which controls the UAV keeping them in frame as it flies. 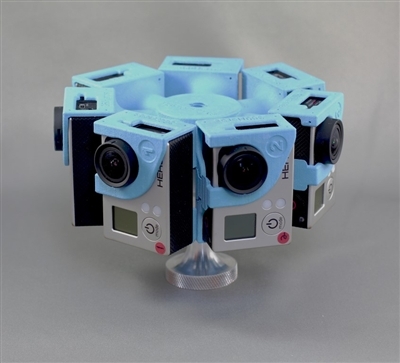 There is also an optional mount for another kickstarter project, the 360cam, which provides aerial 360° photos and videos. The HEXO+ is controlled by an App on smartphones available in both iOS and Android versions. 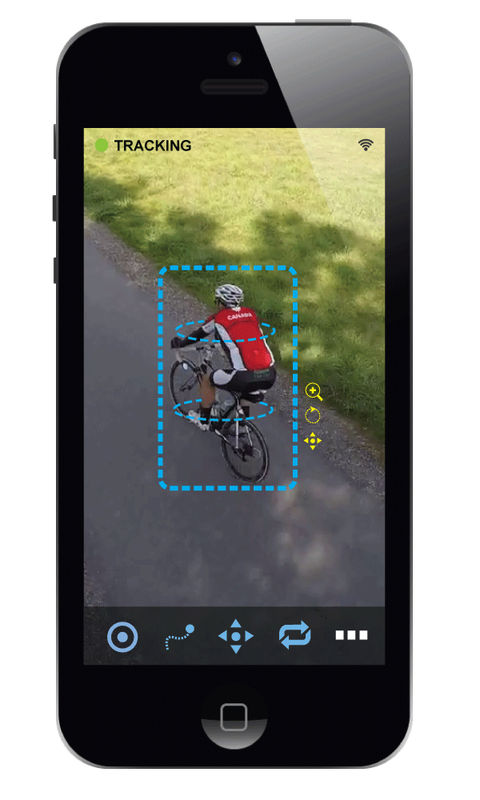 It can be set to film the person holding the smartphone from the front, side, back and anywhere in between, with the distance from the subject and altitude also being set. By using The Director’s Toolkit different filming scenarios can be configured, such as crane; pan, tilt, crab, dolly, 360° around you, far-to-close/close-to-far. Once configured the system can auto takeoff and land and will follow the subject maintaining the framing that was defined in the software. 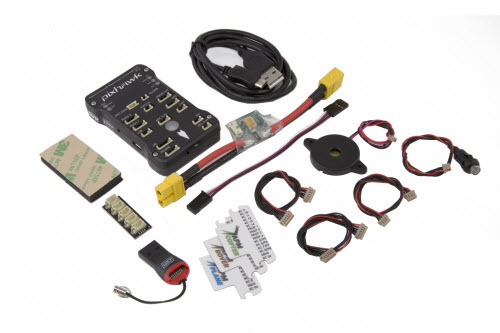 The system uses the Pixhawk autopilot system. It has a flight time of 15 minutes. 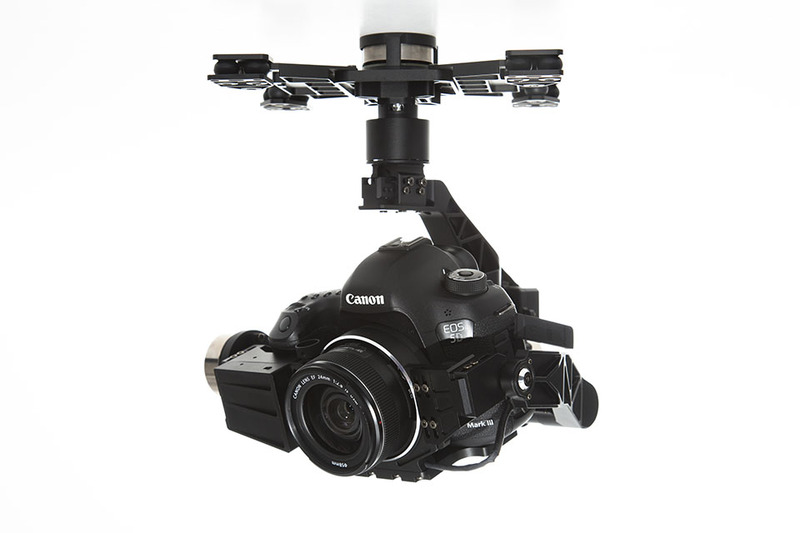 The system costs $949.00 with a 2-axis gimbal and $1,149.00 with a 3-axis gimbal. 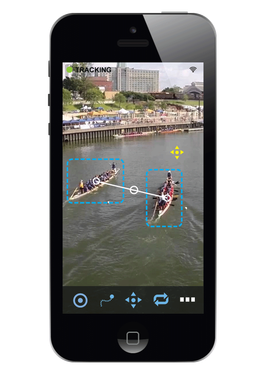 Both the AirDog and similar system, the Hexo+, have the ability to follow a person carrying a smartphone or other device, keeping them in frame for the whole time frame of a video would seen to have great potential for the recording of site tours, which could now be recorded automatically from different altitudes showing the whole or parts of an excavation. The audio could be recorded with a digital recording device attached to the tour guide, with the audio and video being combined in post production. 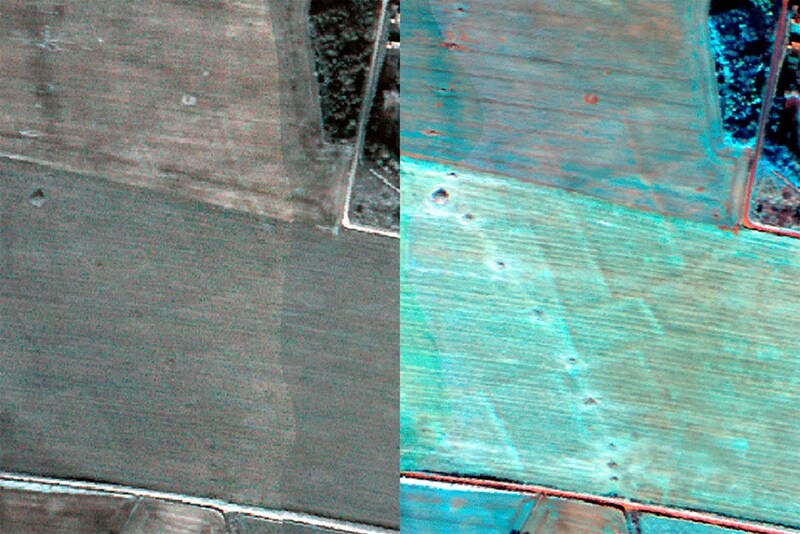 They would also have the potential to record fieldwalking and exploration looking for new sites in remote regions. 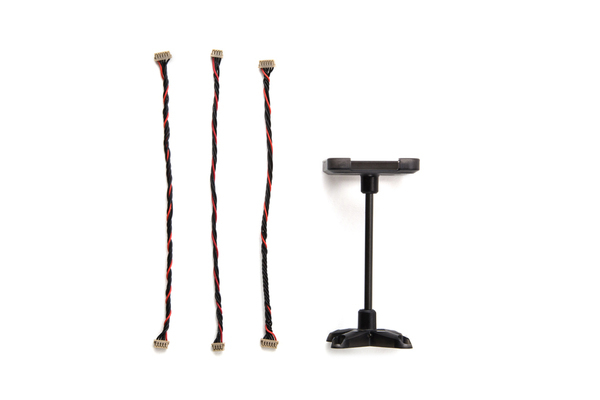 The HEXO+ is specifically designed for autonomous flight so it does not come with an RC (Radio Control) Controller, itthey can however both be switched to manual and an RC Controller bought separately can be used to control it like a standard UAV, although this obviously adds to the cost. 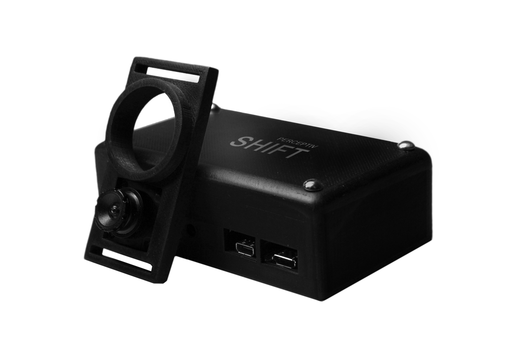 The recently released IRIS+ quadcopter has limited the usefulness of any UAV with “follow-me” technology, as not only is it a system with an RC controller and an autopilot that can be used to photographically map areas, but the system also has “follow-me” technology which matches that of other systems. It is also cheaper than the IRIS+. 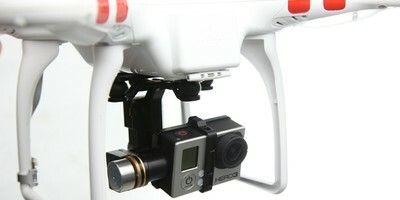 The limitations of the system would be closely linked to the limitations of the GoPro camera which it uses to record. Problems with using smartphones in extreme conditions – this is unlikely to be a problem. The average smartphone has only a 5-10m GPS accuracy horizontally, which is worse horizontally. Smartphones generally only have a 30-50m range for Wi-fi and Bluetooth which could cause potential problems if the UAV lost its signal – this would be less of a problem with site tour recording. 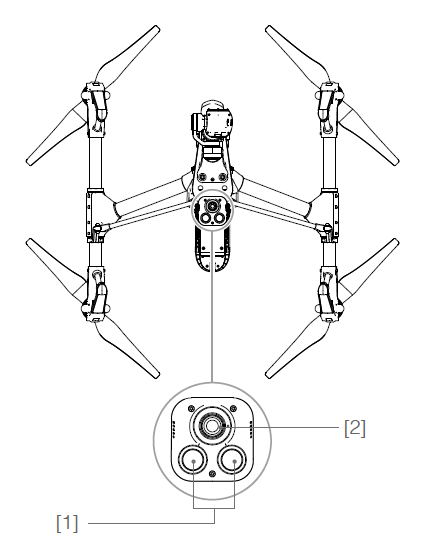 The six propellers of the HEXO+ make it the more stable of the two systems and more capable of landing if one motor were to fail although the extra motors will reduce the flight time. The Pocket Drone is a Kickstarter Project collapsible tricopter. The system can fold up smaller than a 7in tablet. 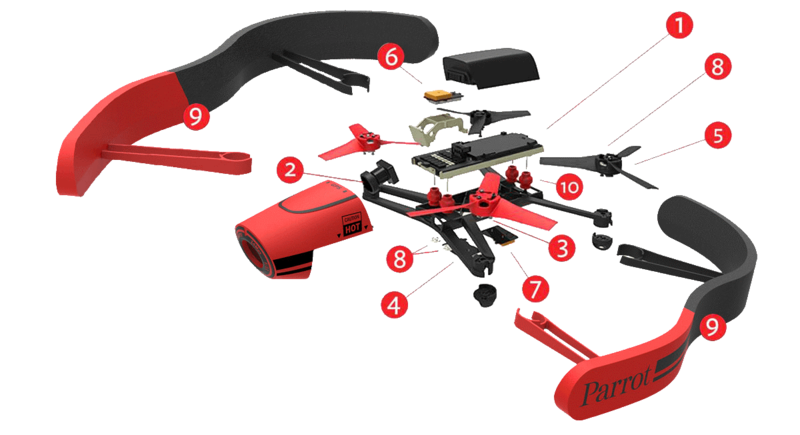 The Kickstarter backer version of the drone cost between $415 and $596 depending on whether the user wanted a controller and action camera. Its collapsible nature means that it can be easily transported and the fact that is can be deployed in less than 20 seconds means that recording can be begun very quickly. It is limited to the abilities of action cameras. The camera does not appear to be stabilized so video footage may be shaky.